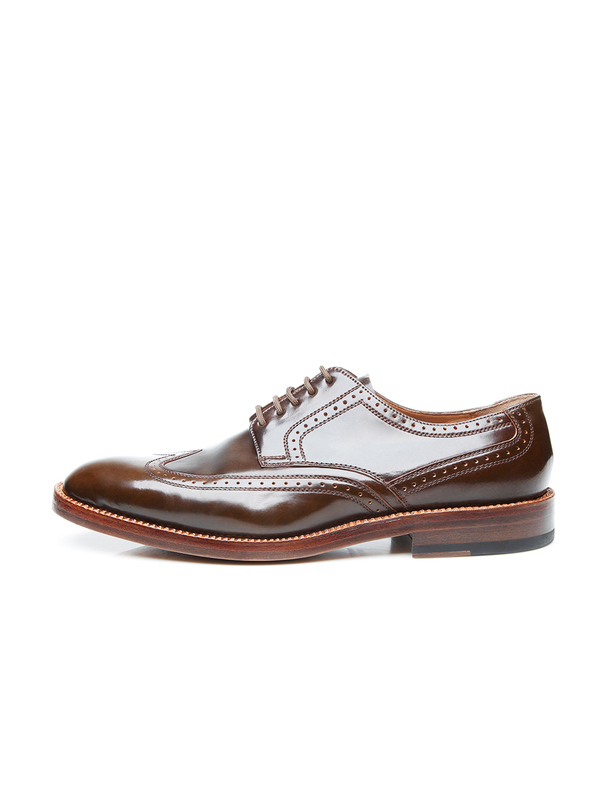 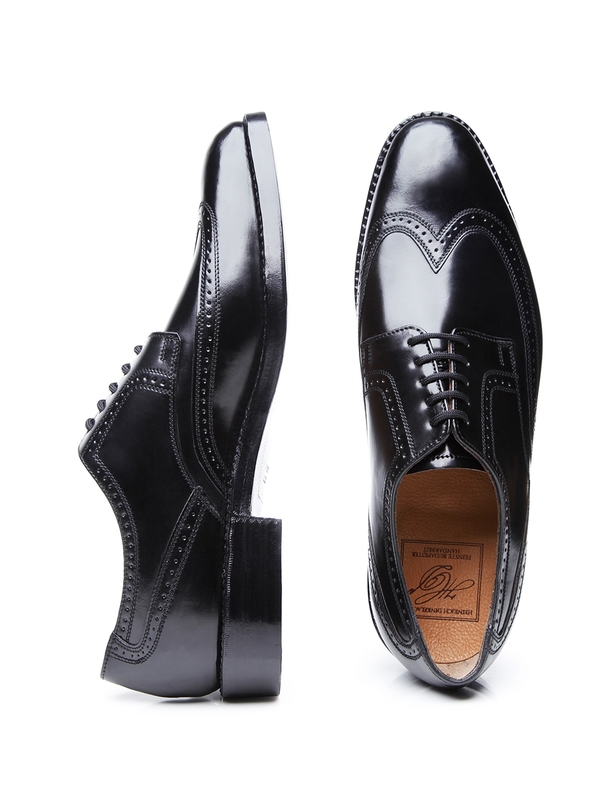 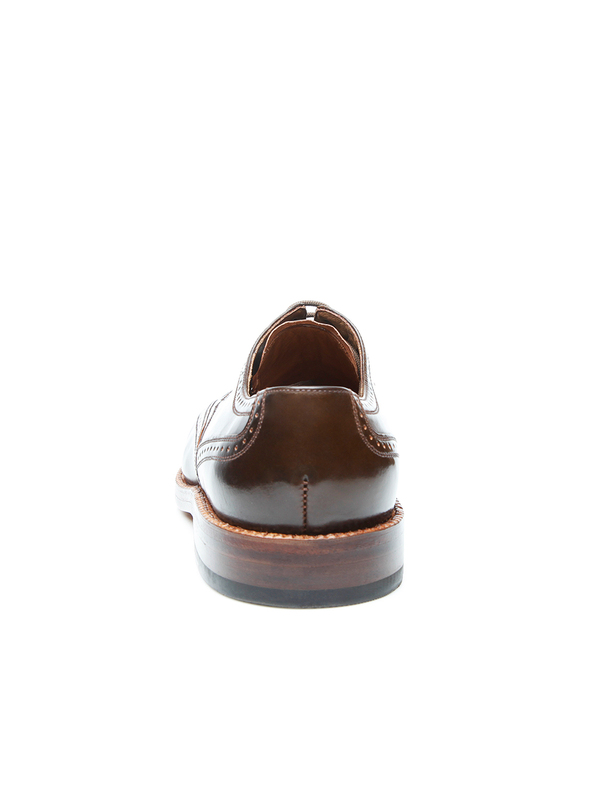 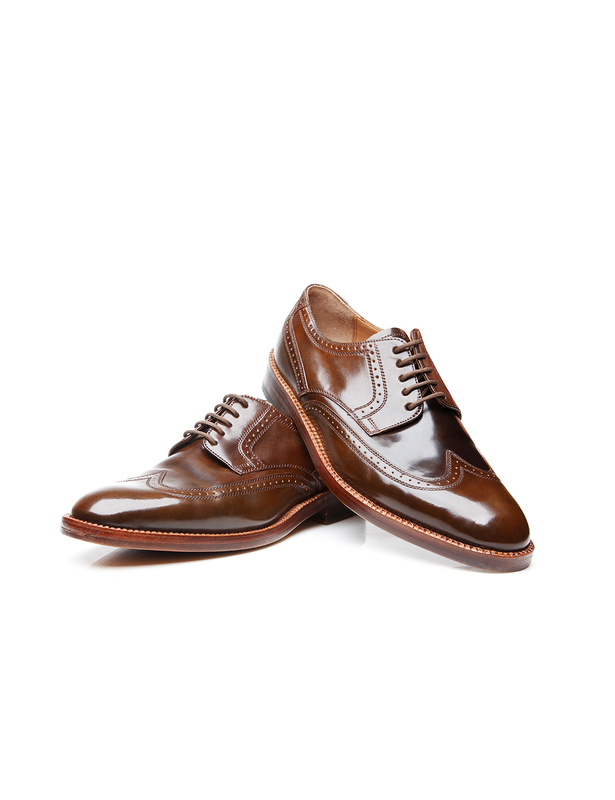 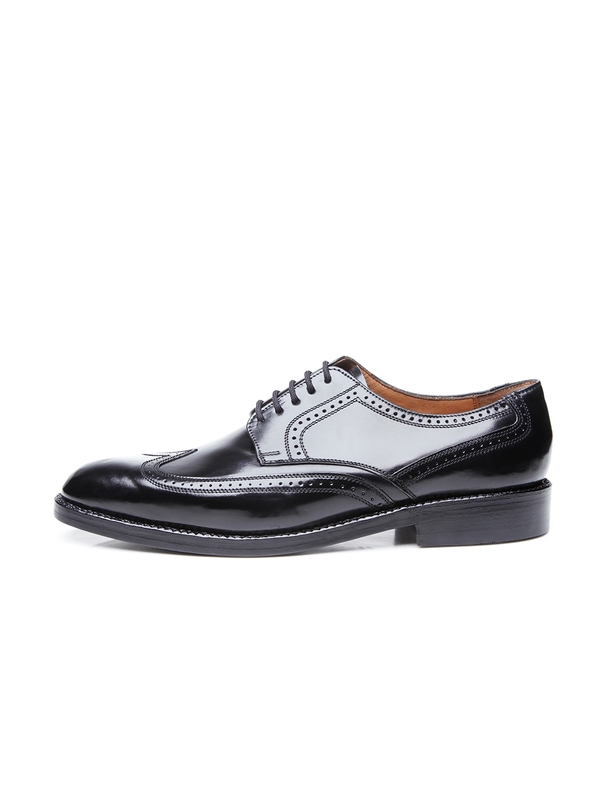 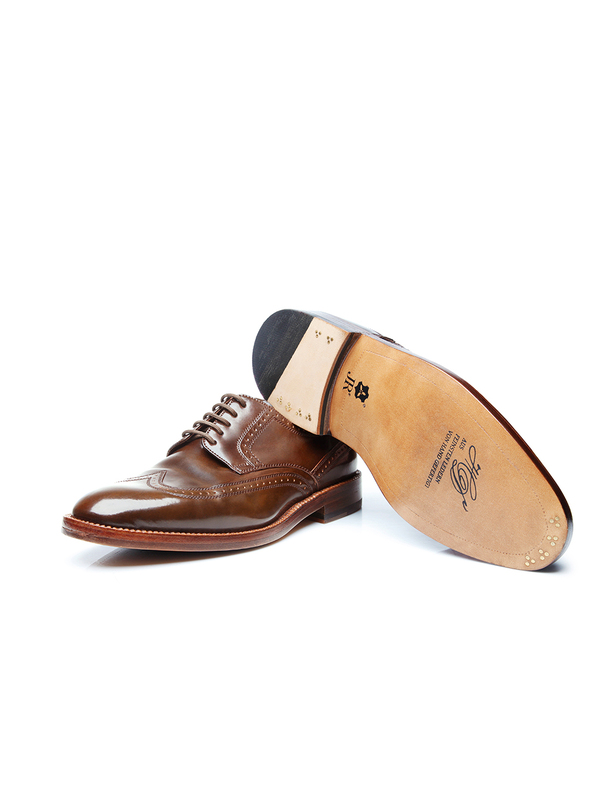 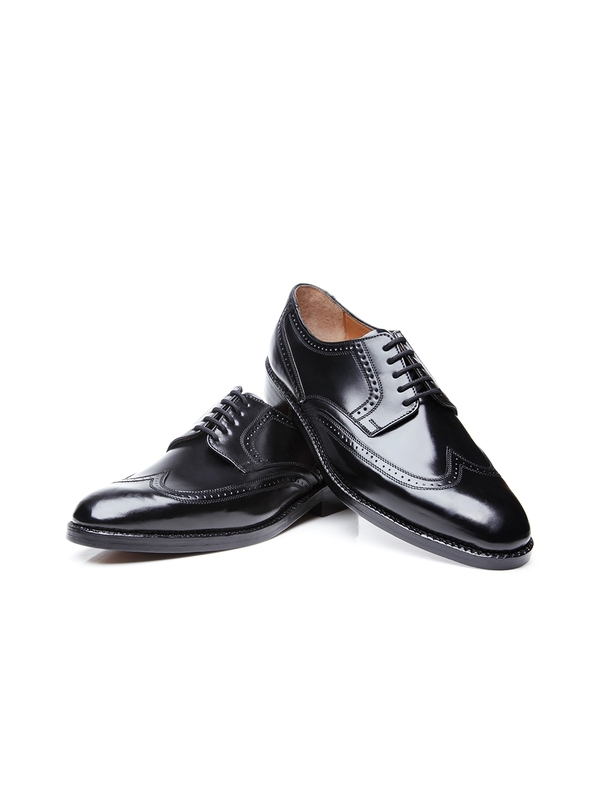 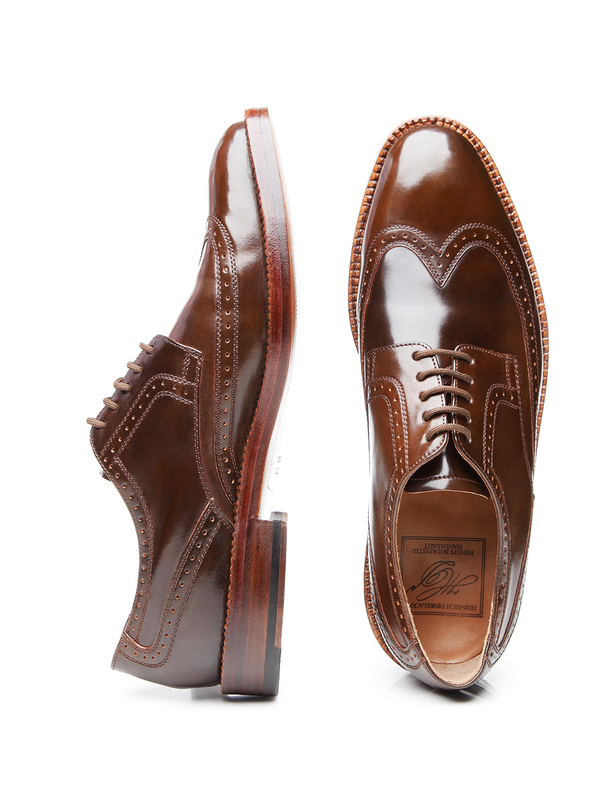 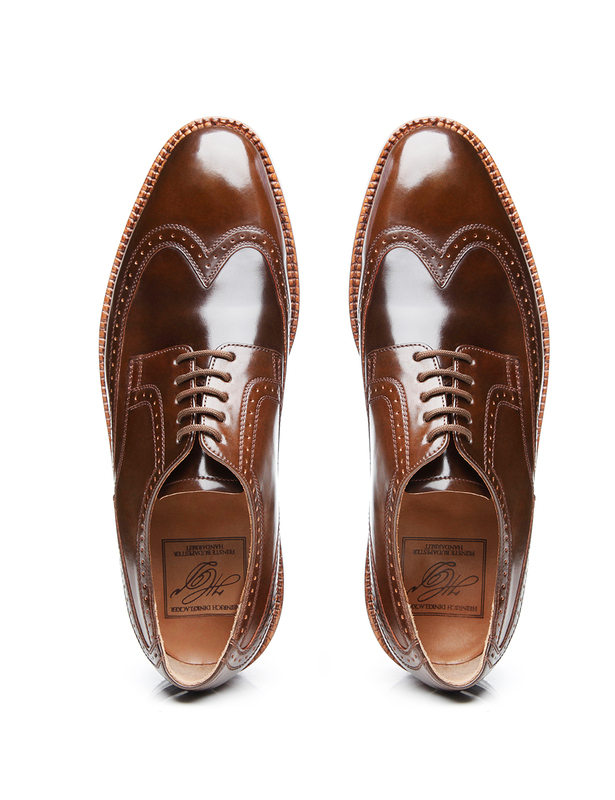 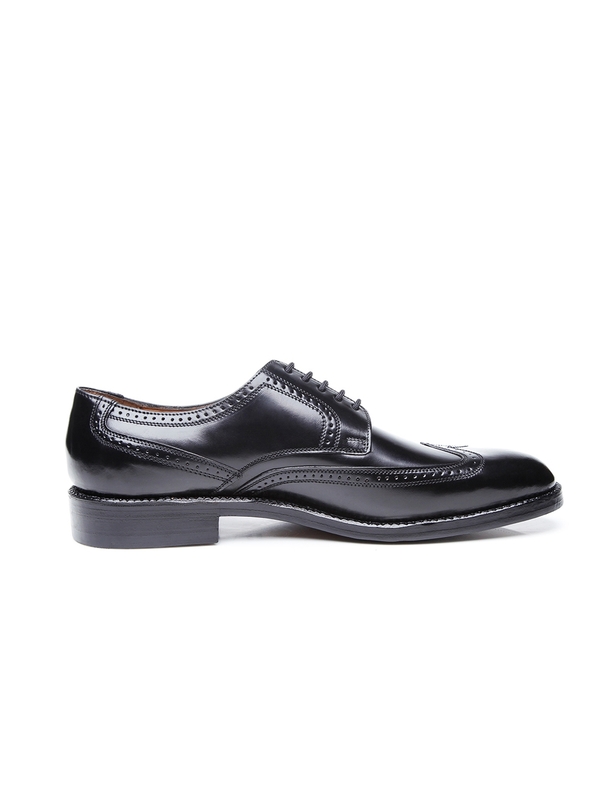 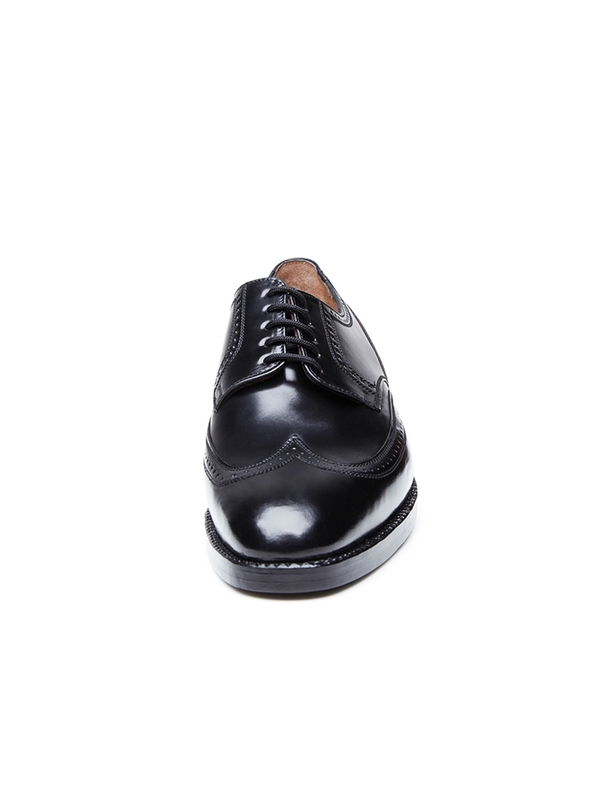 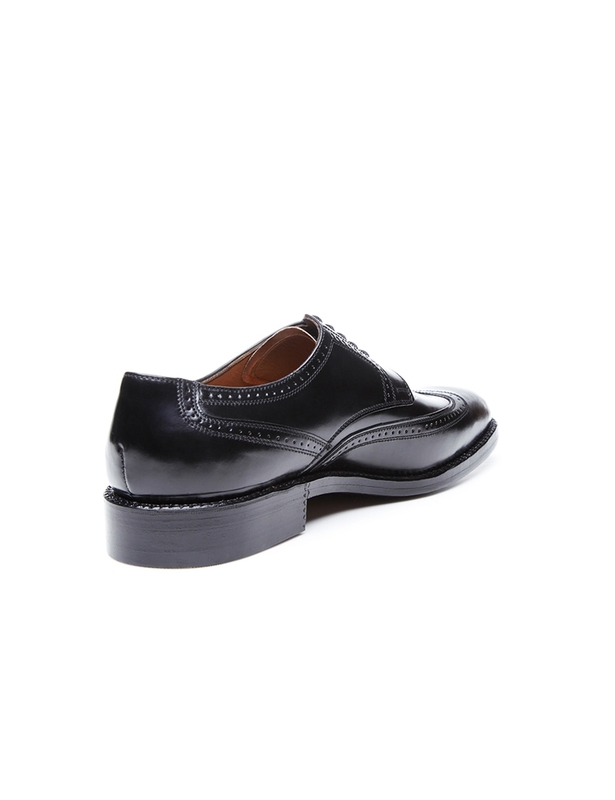 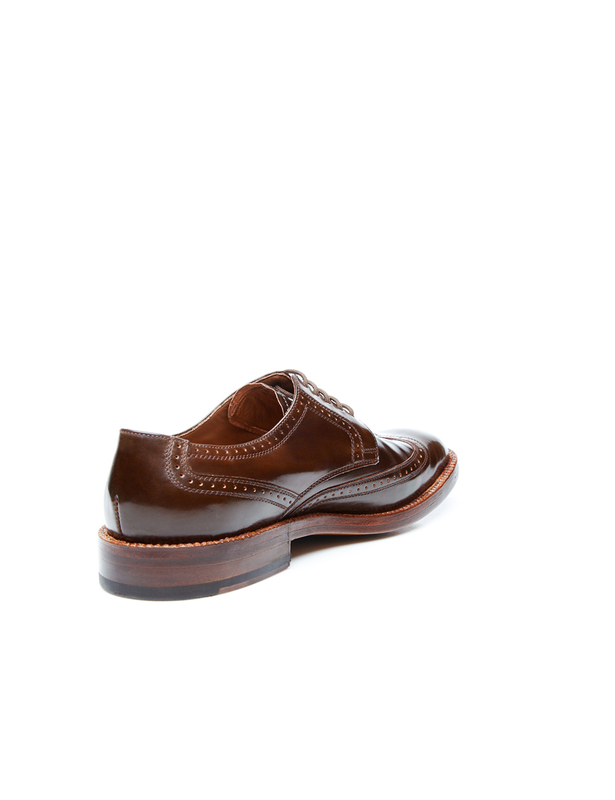 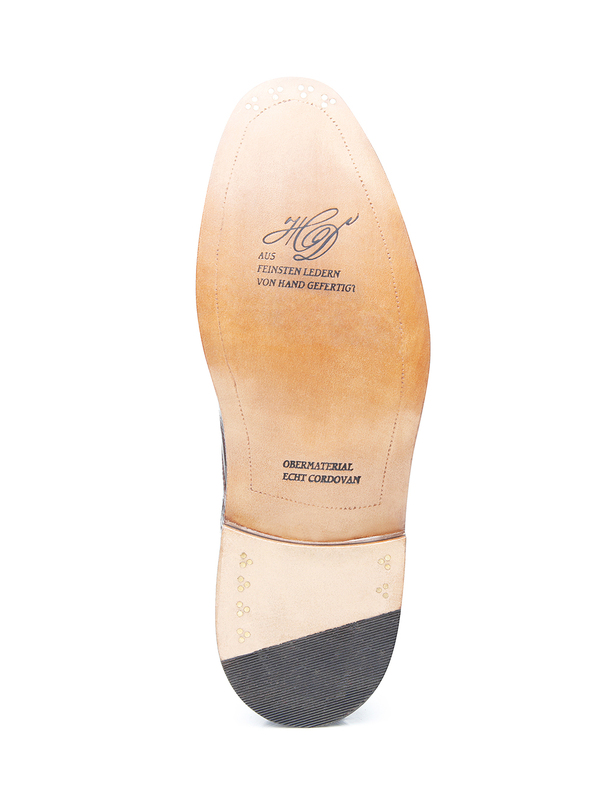 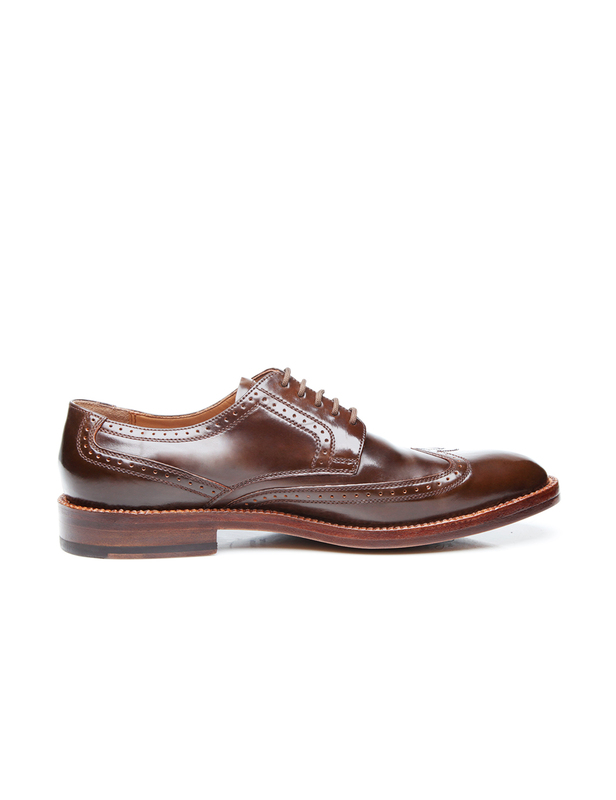 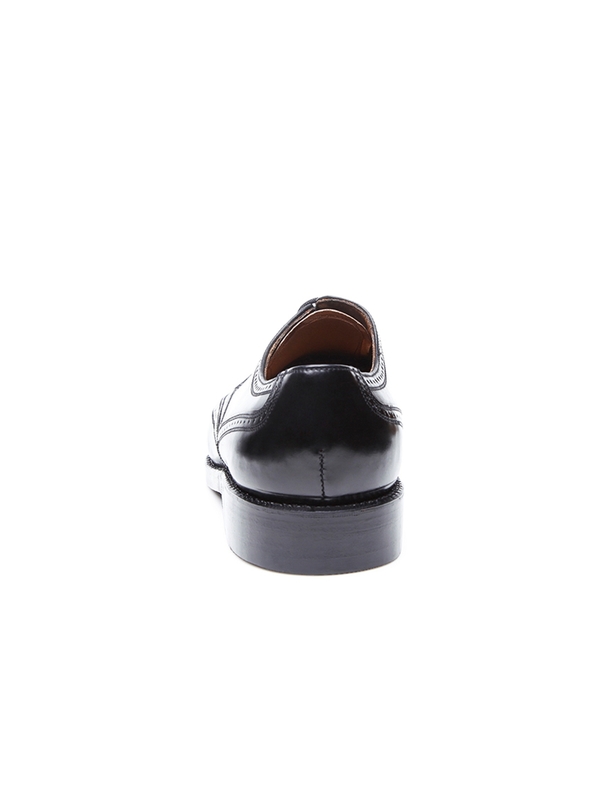 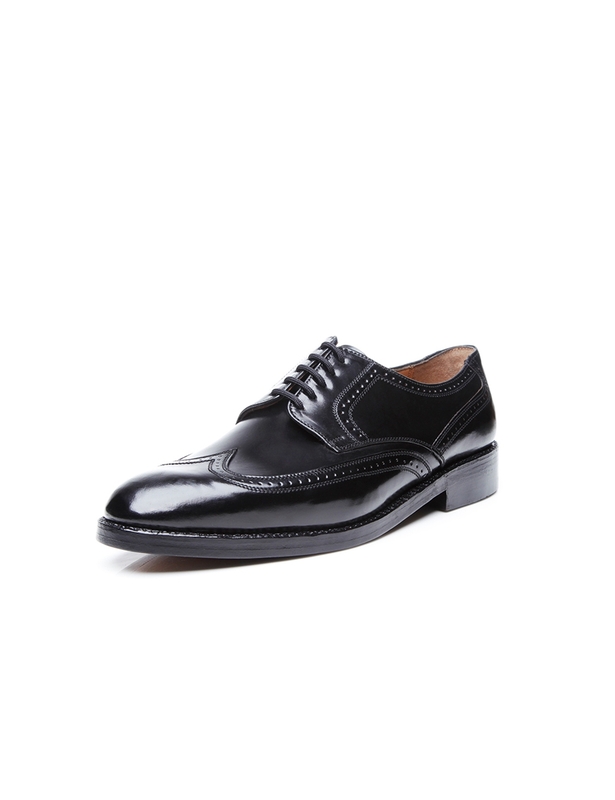 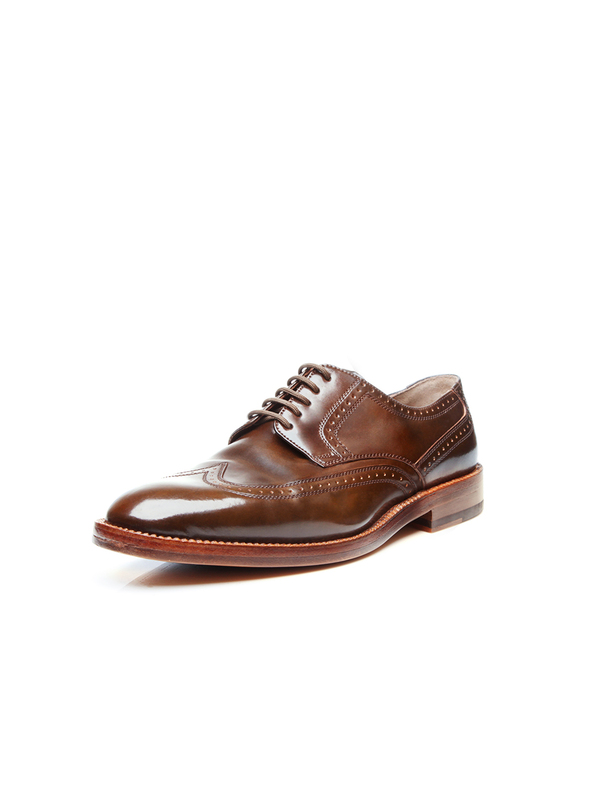 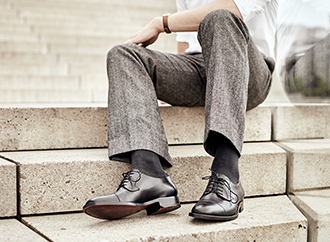 This handcrafted, sewn-welted full-brogue Derby is a sporty, elegant and versatile shoe. 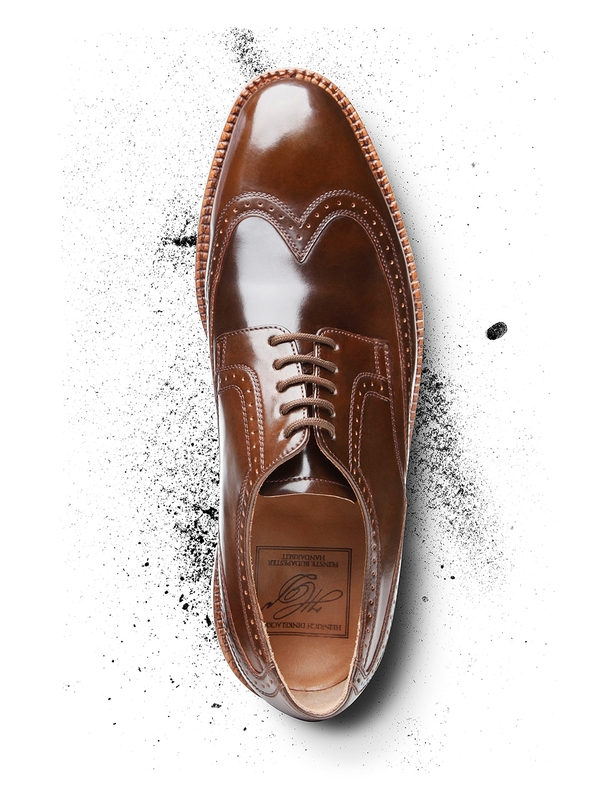 In lieu of traditional, opulent patterned Lyra perforation, this modern take on the iconic favourite merely features lovely broguing along the edges of the shaft pieces as well as the curved wing cap and counter. 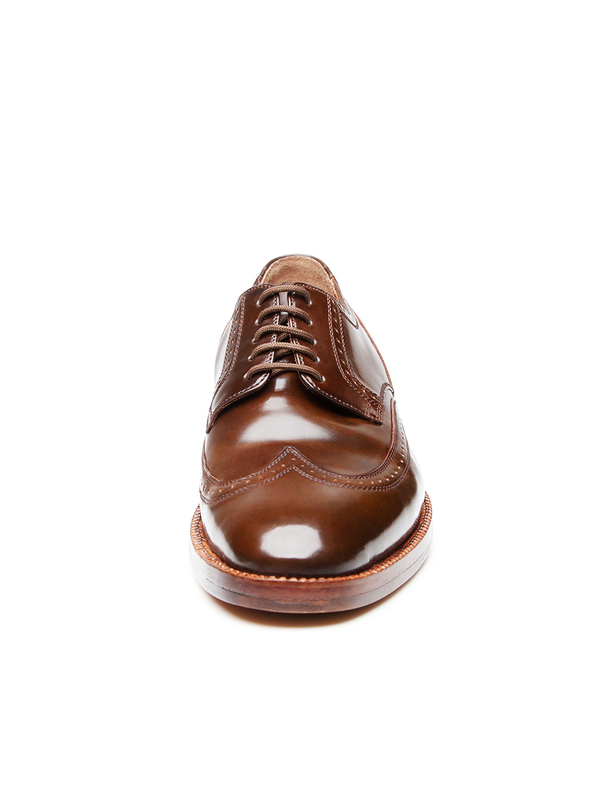 Meanwhile, the gently tapering tip of the shoe is left unadorned, so as to better showcase the lovely shell cordovan from which the shoe has been made. 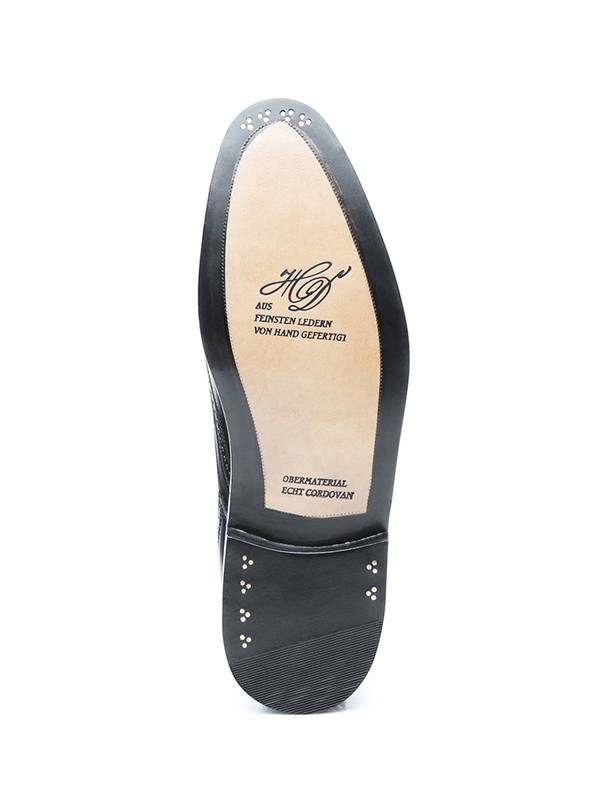 Additional key features include open five-eyelet lacing, a double leather outsole and brass nails driven into the sole and hand by hand. 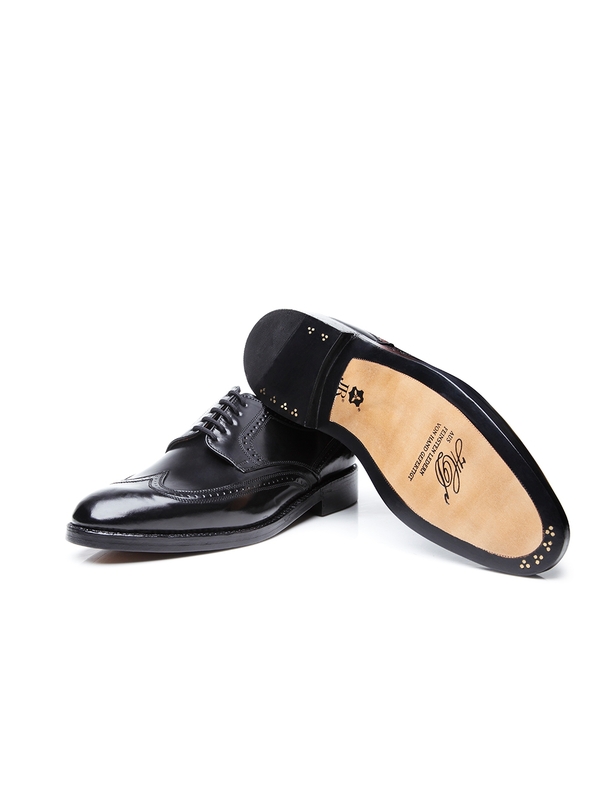 The Luzern last, which gently tapers towards the front, is perfectly suited for average-width feet. 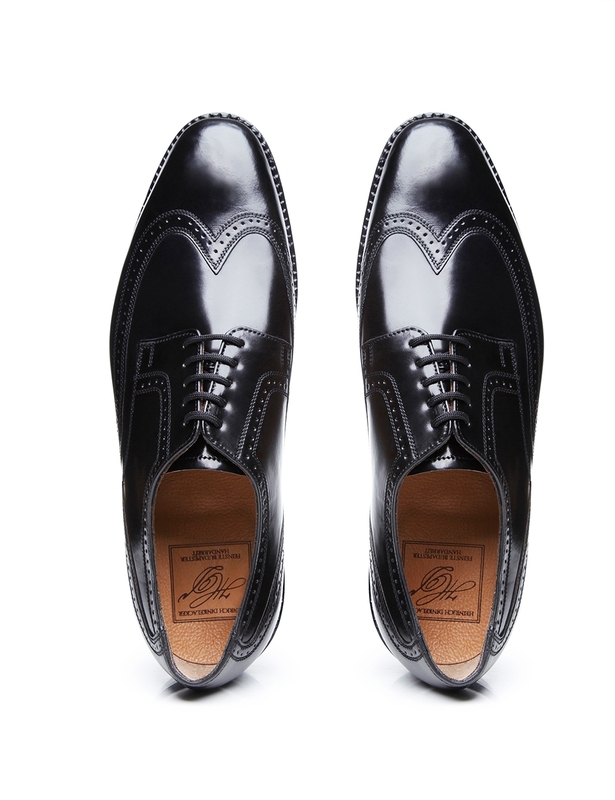 This full-brogue Derby is available in dark cognac and black.